Welcome to Outdoors NH! The goal of this site, as you may have guessed, is to spread the word about the amazing outdoor activities in and around New Hampshire. There’s so much to do in the region and we want to share the many options with you! On this page you will find hiking trip reports, running tips, family oriented outdoor adventure ideas and much more! Don’t forget to check out the photography section to see some of the beautiful scenery from around the state and visit the video section for hiking trip reports that will give you very accurate descriptions for hikes to meet a variety of fitness levels. 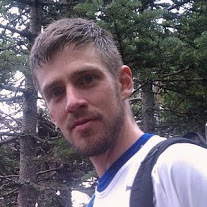 Outdoors NH is the blog of Timm Huffman, a New Hampshire resident, outdoors fanatic and writer. Timm has a passion for sharing the beauty of New Hampshire and the surrounding New England states through compelling writing, photography and video. He believes this is one of the greatest places in the U.S. to live, work and play and strives to share this belief with others. Timm is also an experienced ultrarunner and many of the posts you will find here will cover long distance treks or endurance events in the region. Timm is an age group competitor in race distances from 5-ks to ultramarathons. Additionally, he has hiked over half of the NH summits that rise above 4,000 feet. To contact Timm, leave a message here or e-mail him directly at timm.huffman@gmail.com. I just found your blog, very nice. I run TrailsNH.com – a portal for hikers. I’ve set up TrailsNH to follow you “Hiking NH” tag. TrailsNH will pin your trip report to the map, and send hikers you way to read the post. Good luck finishing your 48. Thanks for the follow! I have been trying to build this blog little by little in my spare time. I don’t get into the mountains as often as I like, but I do try to post as much as I can about my excursions as possible. I’m honored to make your acquaintance; congrats on your achievements. My brother lives in New Hampshire and I look forward to his photos when he sends them. Thank you for the kind words. I try to take and publish as many photos as I can from around this beautiful state.